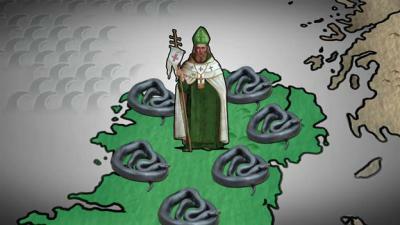 Bet you didn't know these ten things about St. Patrick and Ireland! 10. March 17th is when Patrick died. 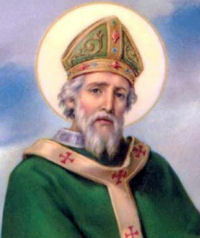 Saint Patrick is a saint of the Catholic Church, and his holy day is the day of his death, and subsequent entrance to heaven, rather than the day of his physical birth. After spending most of his adult life converting the pagans of Ireland to Christianity, St. Patrick went to his reward on March 17, 461 AD. 9. St. Patrick wasn't Irish. St. Patrick wasn't Irish, and he wasn't born in Ireland. Patrick's parents were Roman citizens living in modern-day England, or more precisely in Scotland or Wales (scholars cannot agree on which). He was born in 385 AD. By that time, most Romans were Christians, and the Christian religion was spreading rapidly across Europe. 8. St. Patrick was a slave. At the age of 16, Patrick had the misfortune of being kidnapped by Irish raiders who took him away and sold him as a slave. He spent several years in Ireland herding sheep and learning about the people there. At the age of 22, he managed to escape. He made his way to a monastery in England where he spent 12 years growing closer to God. 7. St.
the climate being too cool for them to thrive. Despite that, scholars suggest that the term "snakes" may be figurative and refer to pagan religious beliefs and practices rather than reptiles or amphibians. 5. Patrick's color is blue. The original color associated with St. Patrick is blue, not green as commonly believed. the harp was used on Irish flags and Irish coats of arms. The harp was also used as a symbol of the Irish people during their long struggle for freedom. Starting in 1642 the harp appeared on flags during rebellions against English rule. When Ireland became an independent country in 1921, it adopted the harp as the national symbol. 3. There are more Irish in the USA than Ireland. Well, sort of. An estimated 34 million Americans have Irish ancestry. 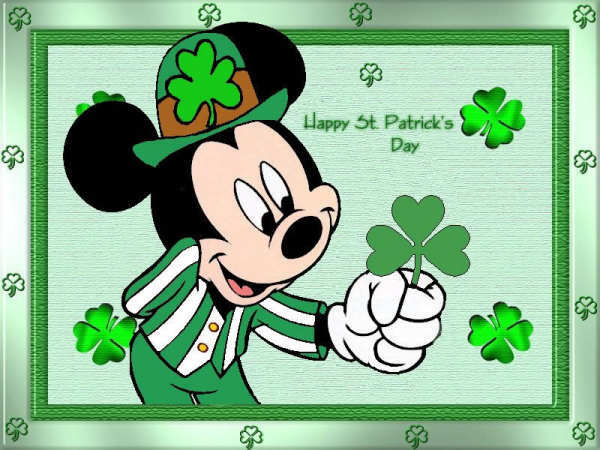 Some are pure-blood Irish, meaning they or their parents came from Ireland, but many more have mixed ancestry today. By contrast, 4.2 million people are living in Ireland. This peculiarity has a lot to do with the troubled history of Ireland. During the potato famine in Ireland, millions of Irish left the country for the US. This diaspora of Irish continued throughout much of the 19th century. Great numbers of Irish immigrants filled factories, served as railroad laborers --and even joined the military, sometimes immediately upon stepping foot on American soil! During the US Civil War, entire regiments of troops were comprised exclusively of Irish immigrants. It wasn't until the economic boom of the 1990s that more Irish stayed in their native country than traveled abroad searching for better opportunities. 2. St. Patrick's Day in the US has a strong political history. In the mid 19th century, the Irish faced discrimination much like that faced by African Americans. In a few rare instances, prejudice against the Irish was even more fierce! The Irish were culturally unique, Catholic, and because of deplorable conditions in Ireland, flooded into the US in large numbers. They were perceived as a potentially disloyal and were treated harshly. To combat this, the American Irish began to organize themselves politically. 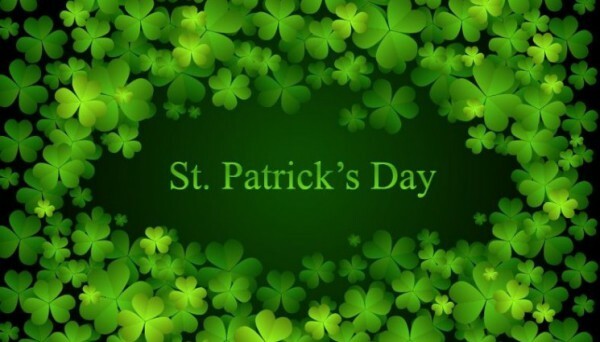 By the end of the 19th century, St. Patrick's Day was a large holiday for the Irish and an occasion for them to demonstrate their collective political and social might. While the political emphasis has faded along with the discrimination, the holiday remains ever popular as an opportunity for festivity regardless of one's cultural background. 1. 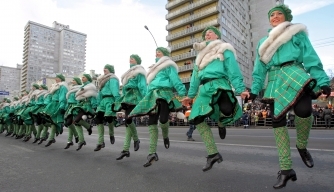 St. Patrick's was a dry holiday in Ireland until 1970. Aside from the color green, the activity most associated with St. Patrick's Day is drinking. However, Irish law, from 1903 to 1970, declared St. Patrick's Day a religious observance for the entire country meaning that all pubs were shut down for the day. That meant no beer, not even the green kind, for public celebrants. The law was overturned in 1970 when St. Patrick's was reclassified as a national holiday - allowing the taps to flow freely once again.